Newly remodeled resort-style pool with deck and grilling area. Plus, a new million dollar clubhouse renovation, which features a boxing ring, climbing wall, and game room! At Arbors Oaks, we’ve gone above and beyond to bring you the most luxurious and relaxing apartments you’ll find in and around Boca Raton. As your premier choice for luxury apartments, we offer an abundance of amenities. Our apartment complex features lighted tennis courts, an activity room with computers, fax, and pool table, a barbecue station and much more. Best of all, our spacious apartments boast wonderful features such as a breakfast bar, granite countertops, and gorgeous lake views. 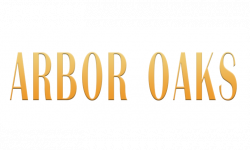 We would love for you to stop by and experience the luxury of Arbor Oaks yourself. Come visit us soon! Visit Your Boca Raton Apartment Complex! If you’re interested in our Boca Raton apartments, we encourage you to give us a call sometime at (561) 483-1788 in order to schedule a personalized tour of our apartments. If you’re ready to take the next step, you can also apply online for the luxury apartment of your dreams! We can’t wait to see you and help you find the comfort you deserve.